When I was living in Spain, there were many times that I needed to explain my traditions and products because they did not know about them. It always helped when I could compare it to something they were familiar with… (Well, it’s kind of like… but has… and is more…). 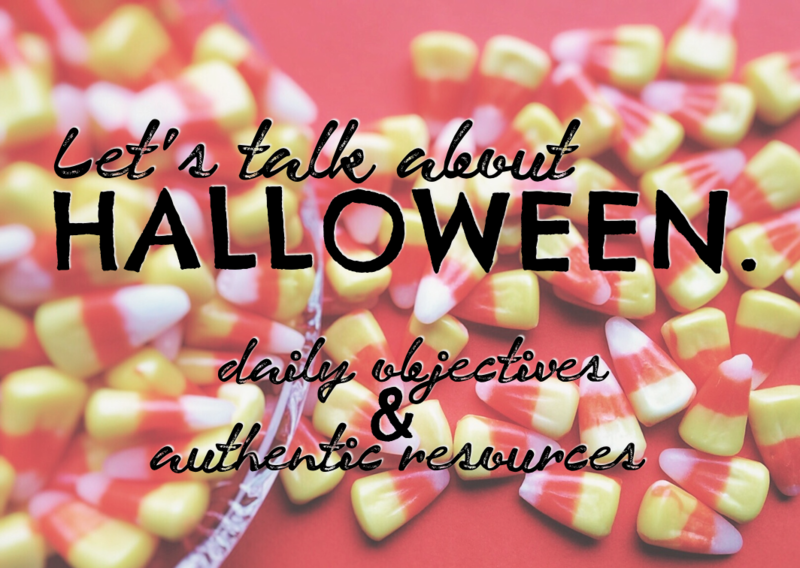 If you are doing a Halloween lesson since it will be on everyone’s brain tomorrow, here are a few learning objectives, authentic resources and ideas for any language class. 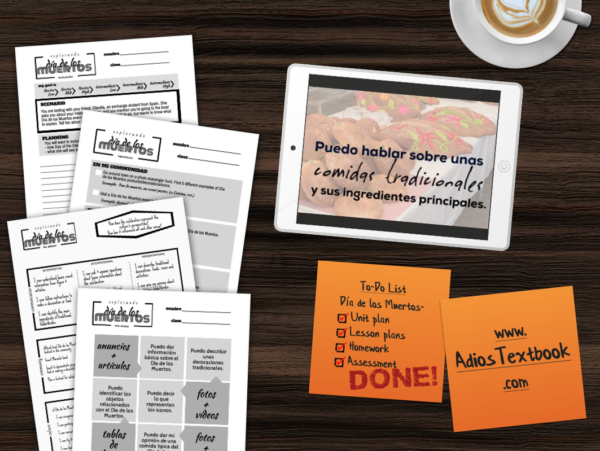 Plus there’s a complete Día de los Muertos lesson at the end for Spanish teachers. Good luck getting the “good” candy tomorrow! I can give my opinion about candies. Getting the best, or worst, candy is a popular conversational topic! Show them some candy from the target culture first. I googled “Best candy in X place” and “Worst candy in X place” to find resources. So something like this in the target language: Popular Mexican Candies. Talk about if they are sweet or sour and what the main ingredients are. Then you can ask them it they would like it or not. Even yummier… Bring in some cultural candies and do tasting stations. Now they can talk about their opinion, including the best and worst ones to get when Trick-or-Treating. See if they can compare their favorites to one that they learned about earlier. I can give my opinion about costumes. Input: Show them a TL company website that sells costumes. Find something like this in the target language: https://www.dondisfraz.com – Don’t send your students directly to this site since there are adult-themed costumes on there. Talk out if it is… Scary? Funny? Creative? Unique? Popular? Pretty? Ugly? Awesome? Look up what festivals your target cultures dress up for. Any similarities? Differences? Now they have some vocabulary to talk about their own costume. Or talk about ones from their childhood. I can tell a ghost story. Working on retelling SCARY events? Add a touch of culture to start. Struwwelpeter… I am amazed by these! I want to know more and I want someone to read me the stories. Then let them compare to their own ghost stories. Interesting similarities! Try out this COMPLETE lesson. –> I can give basic information about Día de los Muertos. I can talk about el Día de los Muertos. Several ideas linked there including: foods, experiences, and authentic resources. If you like the free lesson above, we have 2 complete units (novice and intermediate) for el Día de los Muertos on our membership curriculum site www.AdiosTextbook.com that is $15/month. WHAT ARE YOU DOING FOR HALLOWEEN?? Please share some more authentic resources and ideas below!